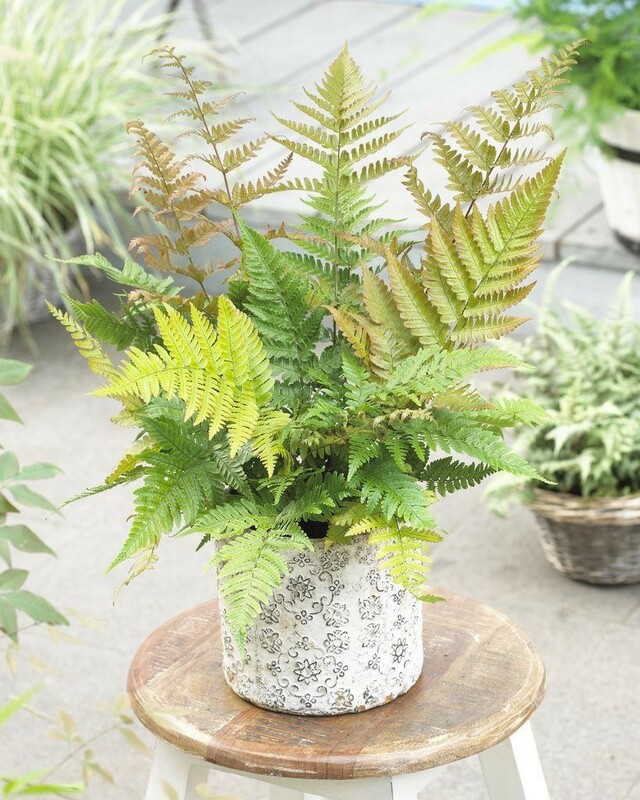 This selection is rapidly becoming one of the most popular garden ferns. 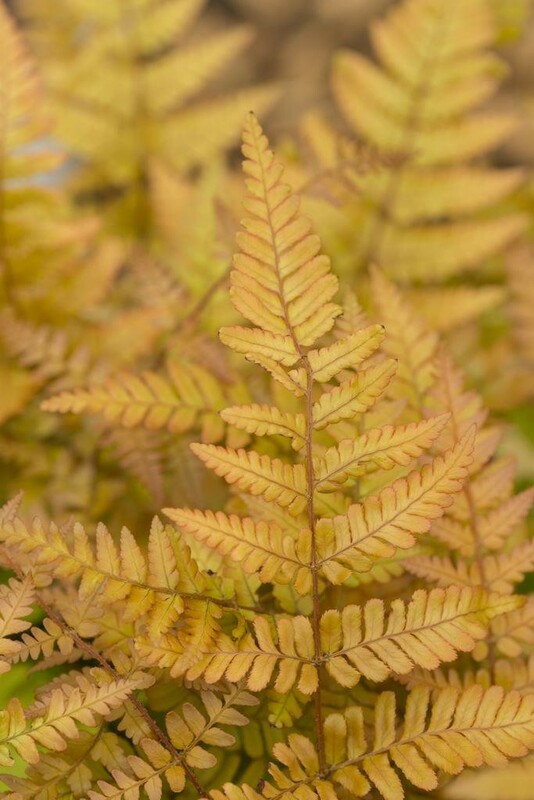 Its name 'Autumn Fern' refers to the beautiful copper-pink-red color of the newly emerging leaves which seem to glow against the backdrop of the shiny, dark green, mature fronds. The spore, which are produced in autumn on the underside of the leaves are bright red. This fern is particularly nice when grown in woodland or Japanese gardens. 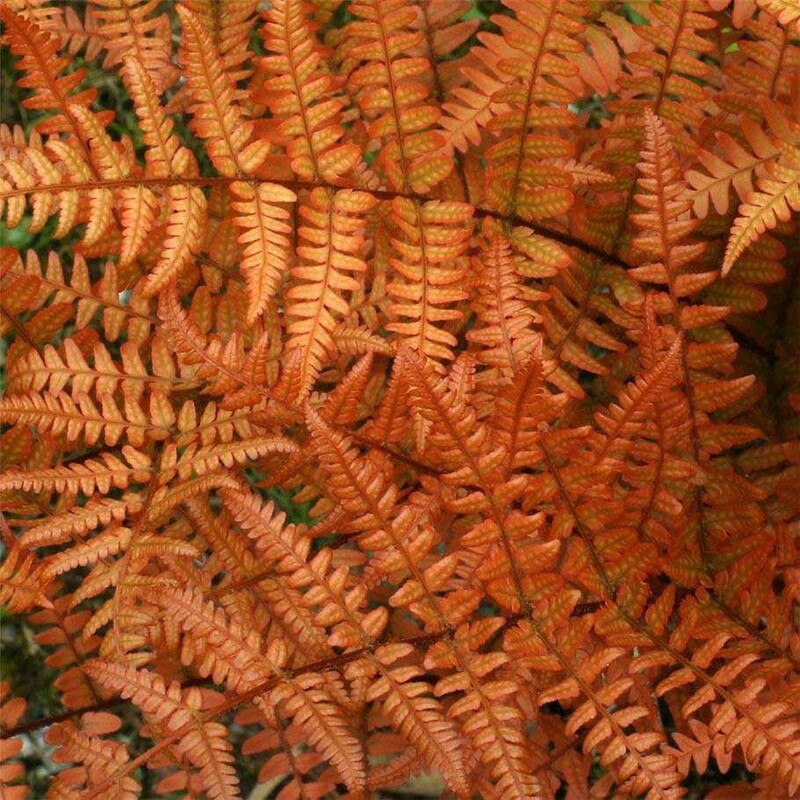 In mild areas or with suitable protection, the Autumn Fern is evergreen. 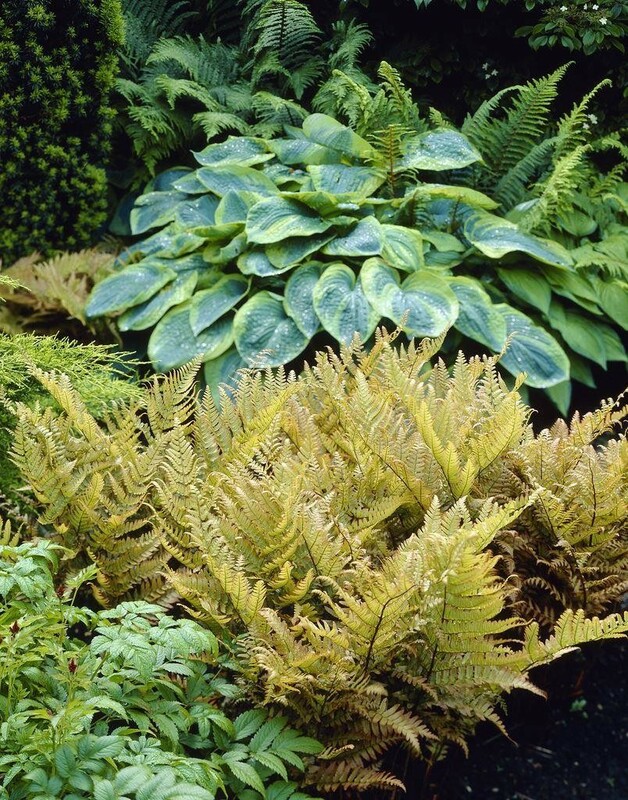 The Autumn Fern thrives in neutral to acidic, loose, richly organic soil and light to full shade. The soil should remain moist but well-drained. Mulching plants in the winter will help to conserve moisture and keep weeds from taking hold. Supplied in approx 1-2 litre containers.